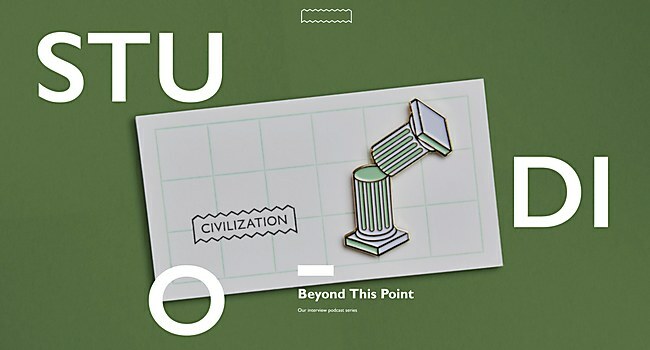 Design firm Civilization’s new site utilizes straightforward navigation and small Easter eggs to connect with users of all kinds. Background: We built the site to help tell our studio’s story. 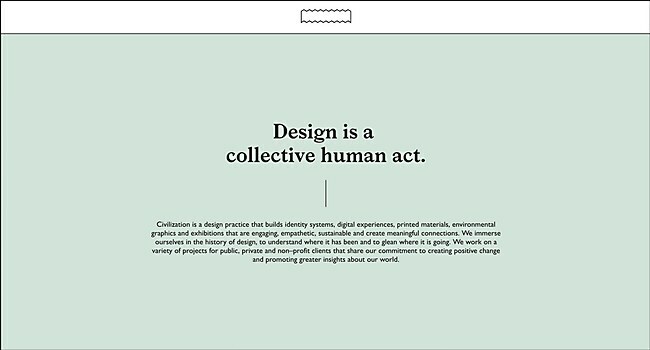 To do so, we broke the site into three main sections—our body of work, a studio section, which illustrates our ethos and our team and an events calendar, which announces our talks, workshops and public programs. The content on our site was created not only to show our body of work to future clients, but also to connect with students and design enthusiasts. 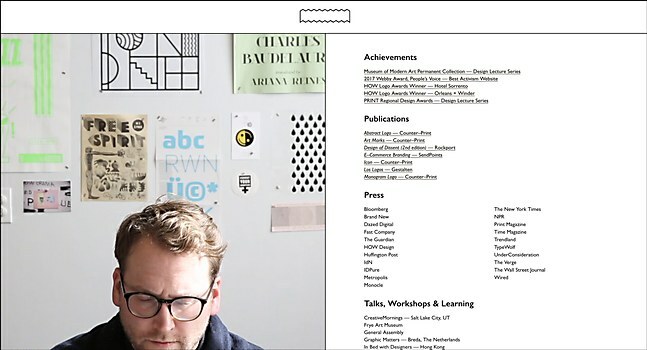 Highlights: The site’s navigation was a major design element that helped dictate the rest of the site. We took inspiration from classification systems in entomology studies. The work section is displayed in a responsive grid, showing case studies as thumbnails, in list view or by identity, and the work is tagged by its medium. Users can also read the in-depth history of each project; we wanted to provide a space not only for the final outcome, but also for the process that got us there. Challenges: With our new site, we had to find a way to promote our public programming right alongside our client work, as these are central to our studio. Before launching the site, we only promoted these events through our newsletter and social channels, but on our new site, we made the events calendar as prominent and accessible as the events themselves. Favorite details: The flexibility and scalability of the site. Because we are a small studio, we needed to build a site that would allow for continual studio growth. Luckily, we were already creating systems that would allow for this kind of growth, so we didn’t end up having to drastically rethink the site. Time constraints: Not having time constraints was a problem for us, since we really had no deadline and no budget parameters. A lot of the work was done nights and weekends after the day-to-day client and partner work was finished. Next time, we’ll set a hard deadline! Technical features: We wanted to create a surprising and delightful experience, so we hid Easter eggs throughout the site. One of our favorites is that when users shake their phones on the mobile site, it literally breaks the grid. Another favorite is how the screen fills with quotes from our favorite graphic designers when it’s idle. 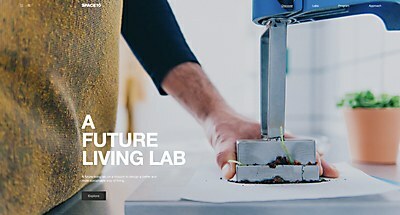 SPACE10’s new site takes a peek inside the Copenhagen-based future living lab—and the community surrounding it. 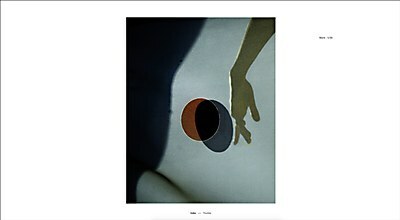 Jack Davison’s new site uses its simplicity and dynamic cursor to focus on the British photographer’s work. 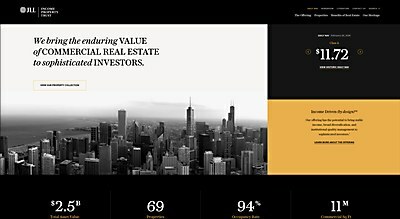 JLL Income Property Trust’s website brings humanity to the world of conservatively branded investment vehicles.